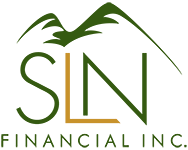 May 24, 2017 - Financial Readiness for College Graduates | SLN Financial, Inc. The time of year is here when budding college graduates go out into the world to make their career dreams and goals a reality. Yet despite their new degrees, they may not be ready to tackle their financial readiness. According to an ongoing study by the National Financial Educators Council, the average level of financial literacy in 19 – 24 year olds is 68%. As such, your college graduate’s ability to earn, save, and grow their money may not be as clear to him or her as you may hope. You can help your loved one get ahead by giving the gift of financial readiness. Here are some key tips that can help you prepare your new college graduate. Finally out on his or her own, your graduate is more than likely to embrace a newfound independence, which can be both daunting and exciting. As such, you can help your loved one responsibly start this new life stage by purchasing a life insurance policy in his or her name (if you haven’t already). One way that life insurance can help your loved ones — even if they don’t yet have dependents— is by locking them in with lower rates. Today, your college graduate is probably healthier than what he or she may be in 10 years, meaning the rates will reflect this life stage. Should your loved one plan to marry or have kids at any point, he or she will already have financial protection with rates more difficult to get later down the road. If your loved one had to take out loans in order to go to college, then he or she has immediate financial obligations to manage. The average amount of student loan debt for college graduates currently stands at $30,100 per student. While you can sometimes opt to delay repayment for special circumstances, such as entering the military, this option isn’t available to everyone. You can help your college graduate get ahead by encouraging him or her to work with your financial professional to create a debt-management strategy. Even if your loved one is just starting to put a financial footing in place, building a strategic habit today to pay off debt will help him or her make strides tomorrow. Some projections show that millennials today should save 22% of their income for retirement. That amount is 7% more than projections for previous averages — suggesting that saving for retirement could be more difficult than for previous generations. Right now, time is working in your college graduate’s favor, since the majority of his or her earning-years lie ahead. By starting to save now, your loved one can put money to work — and more efficiently meet savings goals. Considering that 71% of Americans don’t have enough money saved for retirement, helping your college graduate avoid becoming part of that statistic is a true gift. Every family and college graduate has their own unique financial needs to address. If you would like to explore how to help your loved one make the most of this new life stage — and the financial strategies available to you — we’re happy to help. Please contact us today.